Get Fit with Free Cupcakes! By CandidCupcake on June 20th, 2011 . Filed under: Announcements, Bakeries . 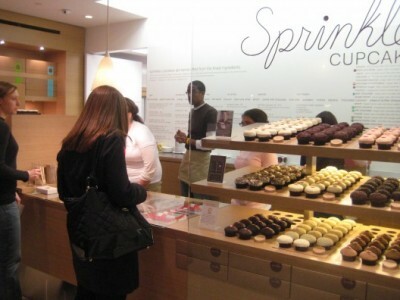 Sprinkles Cupcakes is giving away free cupcakes this week at their Washington D.C. and Chicago locations! If you live in either of those areas, you’re probably wondering how you can get in on this great deal! You’re probably also wondering what cupcakes could have to do with fitness. Read on to find out!In Washington D.C., the free cupcakes are being given to members of Capital Bikeshare, in celebration of Capital Bikeshare Week, which lasts through June 24th. What is Capital Bikeshare, you may ask? It’s a company that has placed 1,100 bicycles in 110 locations throughout the DC metro area. You can become a member for as little as 24 hours and as much as a year at a time, which allows you to check out a bike from any of their locations and return it to a station near your destination. Sounds like a great way to stay in shape, go green, AND get a free cupcake! The best part? You won’t feel guilty about those calories because you can just ride them off! 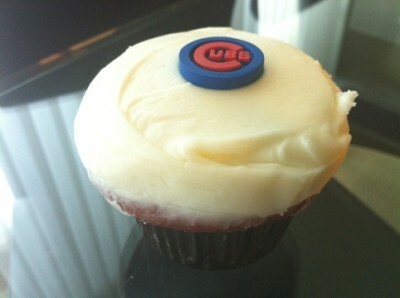 In Chicago, Sprinkles is joining in the excitement of the Cross-town Classic, the annual competition between the Chicago White Sox and the Chicago Cubs, by offering a free cupcake to anyone who comes in over the next three days sporting their favorite team’s jerseys, shirts or hats. Cubs fans will receive a dark chocolate cupcake with a Cubs logo, and White Sox fans will receive a vanilla cupcake with the Sox logo. It seems like there are lots of free cupcake deals these days. Be sure and see if there are any where you live!